So, it’s Valentine’s Day. While many of us show our loved ones how much they mean to us with a bunch of scraggy roses from the local garage (I’m a hopeless romantic, can’t you tell?! ), I’m pretty sure that Bruno here, if he had a girlfriend, would shower her with a thousand biscuits. 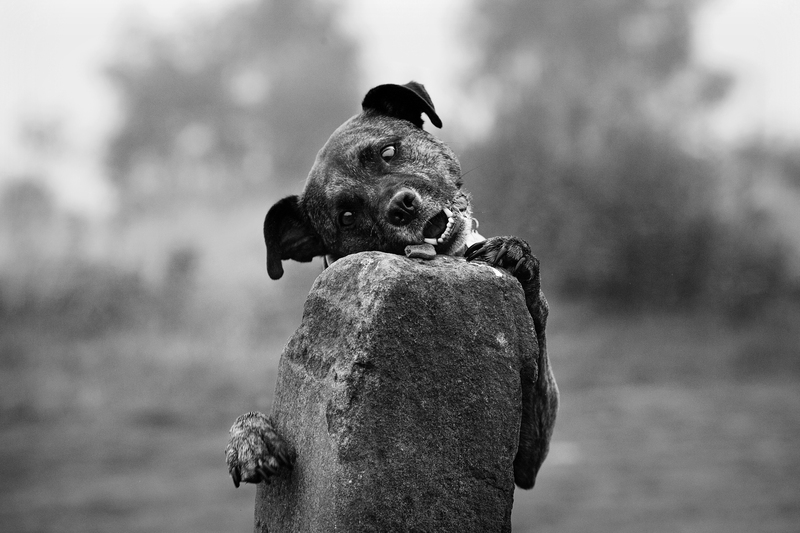 This lovely hound has a penchant for the crunchy kind. Another biscuit? Don’t mind if I do! 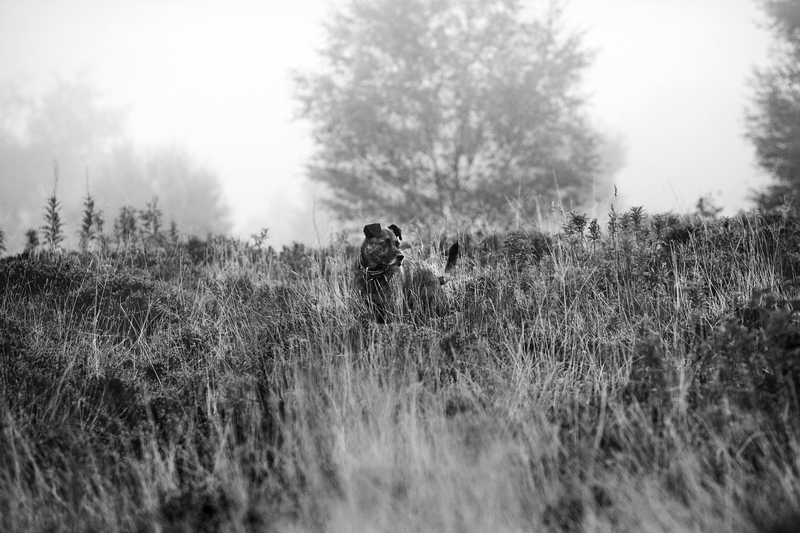 Photograph copyright of The Mighty Pooch. 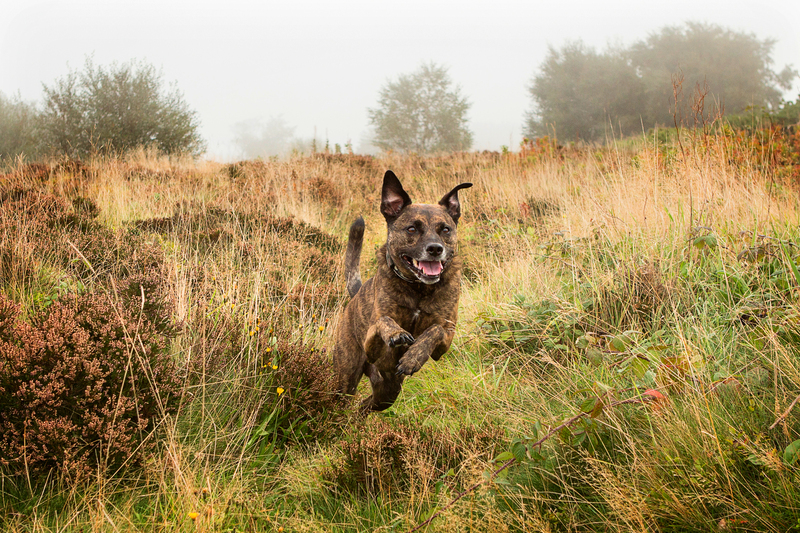 Bruno has a gorgeous character – he clearly loves life and has a soft nature. Some of the most cheerful dogs seem to be former rescues, which I suppose could be rather a surprise. Perhaps they are just so happy to finally be happy. They certainly have a lot of love to give. Is that a biscuit I see? Bruno enjoyed bounding across the grass if there was a tasty morsel at the end of it. In fact, he was a pretty good catch, too. Years of practice! 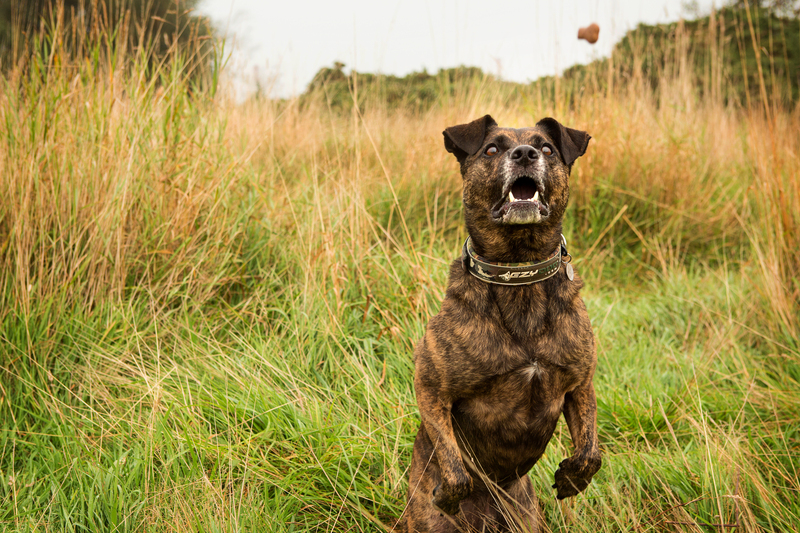 This photograph was a tricky one to capture – we had to throw the biscuit accurately and anticipate where Bruno would catch it to get the shot in focus. We also had to make sure his nose didn’t reach too high and cover his eyes up. Bruno is a very clever chap. He has his own bell by the back door at home, which he rings with his paw if he wants to go to the loo. He’s also learned to close the sitting room door at his owner’s request on chilly evenings. Large paws can be extremely handy! 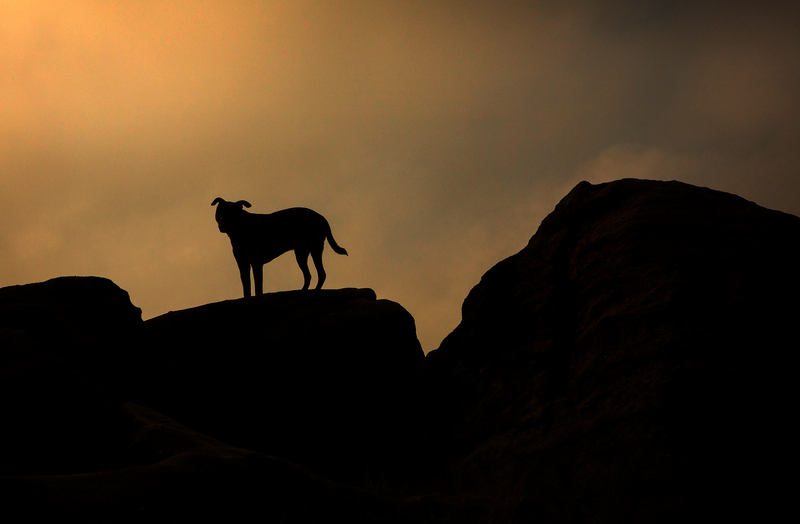 As the sun began to sink and turn the sky a rich orange, we enticed Bruno up onto a rock for a silhouette. He looks a little like a character in a children’s book with those fabulous handlebar ears. Words: Aislinn Kelly. Photographs: Aislinn Kelly and Michael Thompson at The Mighty pooch.